Night Catches Us is a film about the mood of the late 70s and the decline of the Civil Rights movement and the mood of that era. The film focuses on a character named Marcus who was recently released from jail after having been involved with the Black Panther Party. He faces a host of problems once he returns: the most serious of which being that he is accused of snitching on his former comrades. As the film focuses on his reintegration into his community, a host of characters and their personal plights are highlighted very well. On top of well done focus of the film, the style of the film is an intimate one with excellent character development and beautiful cinematography, not to mention the great score by The Roots. The style is important, as it is an attempt to capture the mood of the era. The film opens with an optimistic speech given by Jimmy Carter who was at that time about to be the incoming President. 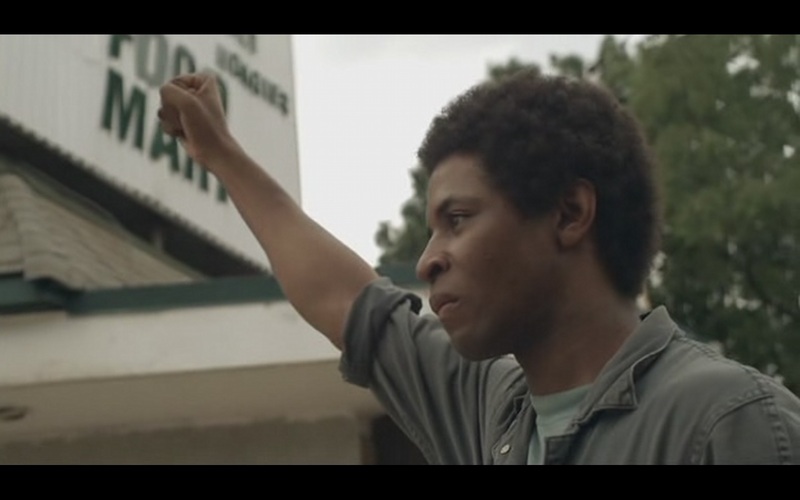 The contrast of Carter’s speech and reality is felt throughout the film. One of the main characters is Iris, a 10 year old girl who is the daughter of Marcus’ comrade from before he was in prison. Her role in the film is to essentially bring to life the “guilt” of the mistakes of the past. This is shown by the constant need for Marcus and Patricia (Iris’s mother) to have to explain their past to her, and in an uncomfortable way that echos the mood and theme of the entire film. The film takes a very honest approach towards the Panthers and indirectly addresses one of the main internal contradictions they faced: paranoia in the face of very real repression. In this case, the personal relationships and how they were affect is what is being examined, which is an important aspect to these struggles: they were about real people. That is not to say that the politics of the era took a backseat to personal problems. Nor is it to say that the film presents a sort of “being involved with radical violent groups has consequences” message. While the characters are fully aware of the mistakes of the past, a cheesy denouncement of their previously idealistic selves is absent from the film which is quite refreshing compared to many more mainstream narratives about radical movements of the time. Often when films that deal with “far left” themes are sought out, they can be mediocre or not well done. Night Catches US is far from that, wining awards and being critically acclaimed while also dealing with an issue far too underrepresented in the media. It is an important addition to the stock of films that deals with questions that the Left is concerned with, as well as a great addition to film in general.